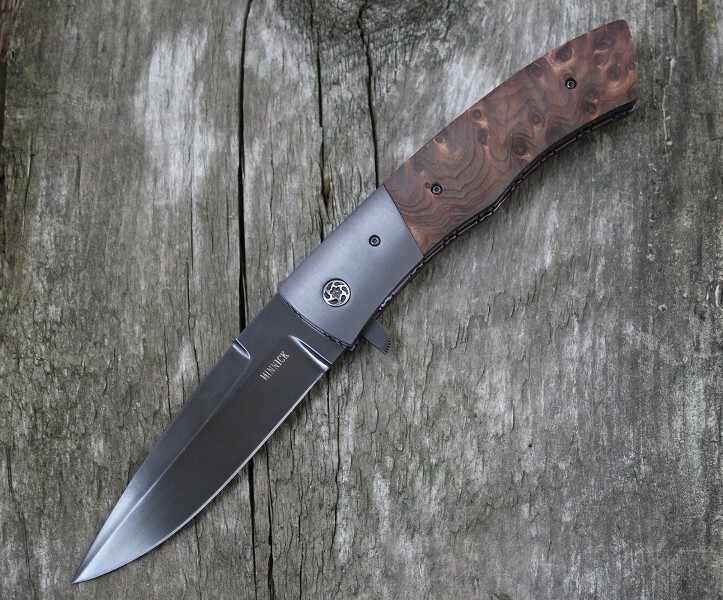 This Custom flipper knife from Jim & Joyce Minnick offers beauty and usability in one knife. This knife features stabilized redwood burl handle construction with zirconium bolsters and purple anodized liners. The clip point D2 blade has been hand sanded then black oxide coated for a sturdy finish that opens with ease due to the GTC bearings. A zirc tip-up pocket clip and 416SS file-worked backspacer complete this custom design.